A truck driver in Missouri pulled his rig over and got out to pay his respects to a fallen veteran. 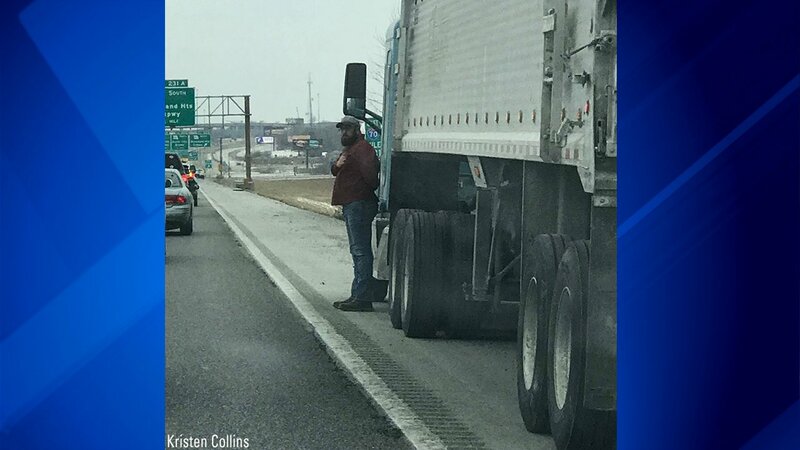 Bradley Faulkner, a truck driver and U.S. Army veteran, stopped on the shoulder of a highway in Missouri, exited his cab and placed his hand over his heart as a funeral procession passed by. The touching moment was captured by Kristen Collins, who posted the photo of Faulkner on her Facebook page on Jan. 5. In the Facebook post, Collins said: "While in the funeral procession today to Jefferson barracks to lay my grandfather to rest a man driving a truck pulled off and made honor as we all proceeded. Thank you for showing such great honor - I found and got to personally thank this man!!"